Make sure to update your Atlantis DHD to the mesh version, less prims, less script time and various bug fixes..
Adam Barnard looks back at another one of Stargate Atlantis' most memorable (and explosive) episodes, and the forging of an unlikely friendship. The post Stargate&#8217;s Legacy: &#8216;Midway&#8217; appeared first on GateWorld. All rights reserved. Does the next full Stargate series belong on cable? Online? Netflix? Or somewhere else? (Opinion) The post Four Ways Stargate Could Return To Long-Form TV appeared first on GateWorld. All rights reserved. The former Stargate Universe actor may soon be back on TV screens in the noir detective drama The post Brian J. Smith Cast In &lt;em&gt;L.A. Confidential&lt;/em&gt; Pilot For CBS appeared first on GateWorld. All rights reserved. 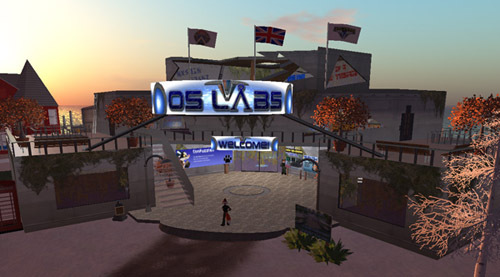 Welcome to the OS Labs website. This is... was just a basic site that you can use to find out product listings, manuals and staff contact information as well as info on the OS Labs Mini-mall located in Eternal Calm. New product releases by OS Labs will appear here. 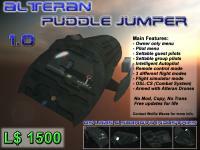 The Alteran Puddle Jumper by OS Labs & Subnova Industries. As seen on Stargate SG-1 and Atlantis the Puddle Jumper is a fine little space craft that fits perfectly through the Stargates. This is a must if you are after a cool looking little space ship or aircraft. If you have any bug reports for the Puddle Jumper please IM Wolfie Waves in-world or use the Contact Us page on this site. 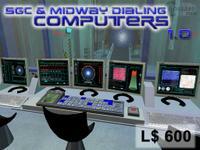 Comming soon from OS Labs is the SGC & Midway Dialing Computers that work with the new Alteran Stargates AKA Arcturus 4.0. The dialing computers are currently in beta for people to test with the new gates which are also still in beta. If you have any bug reports for the dialing computers please IM Wolfie Waves in-world or use the Contact Us page on this site.